For dogs who swing both ways. 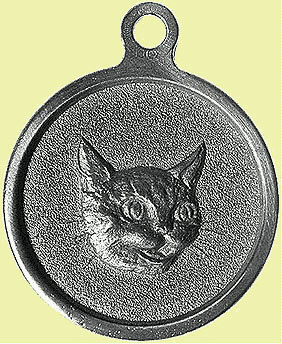 Made of lightweight die-cast zinc with complimentary engraving on the reverse side. The 1-1/8″ diam. tag can accommodate up to three lines of copy. Please type the word “none” into undesired fields.